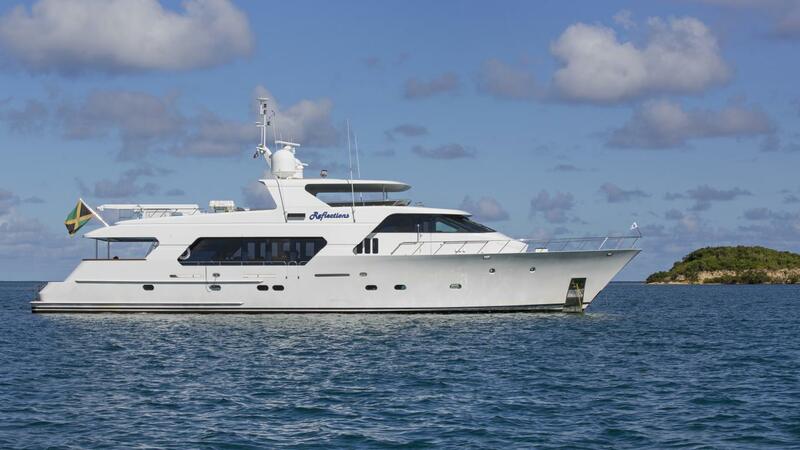 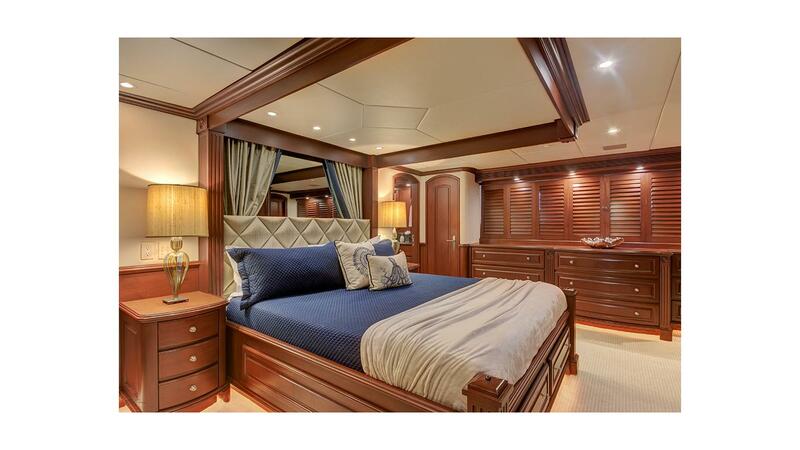 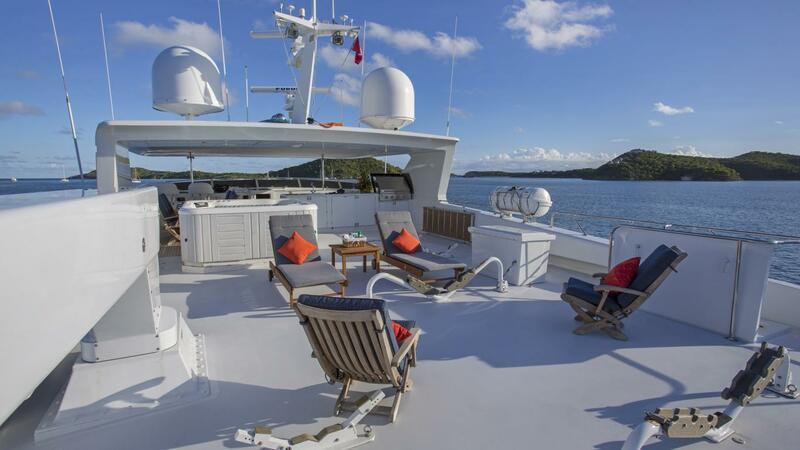 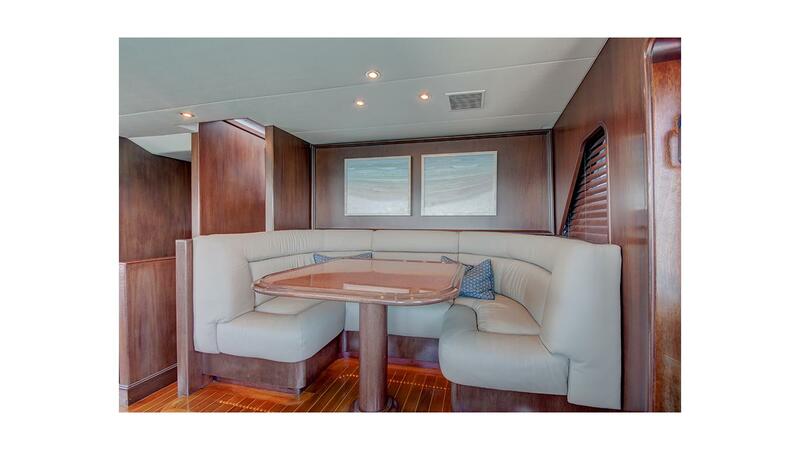 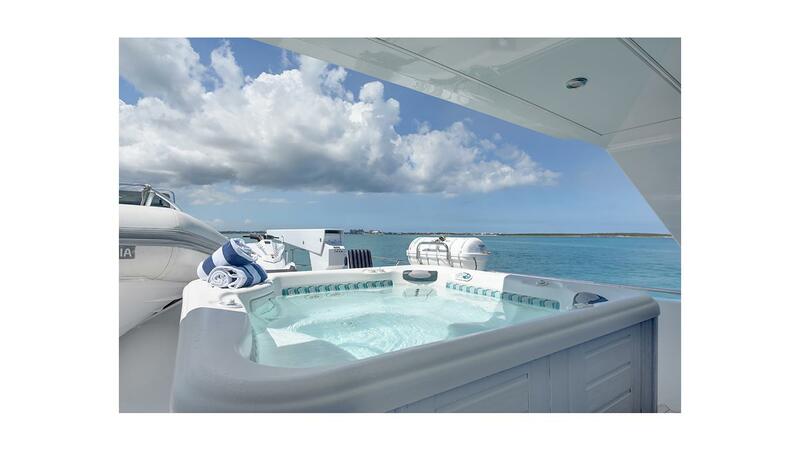 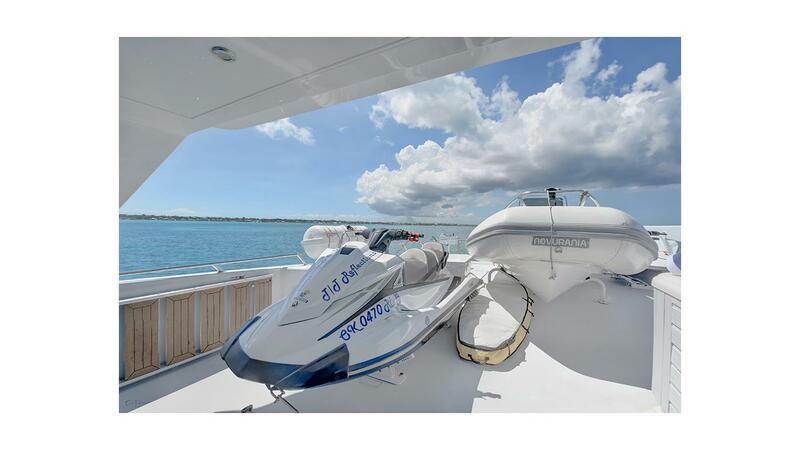 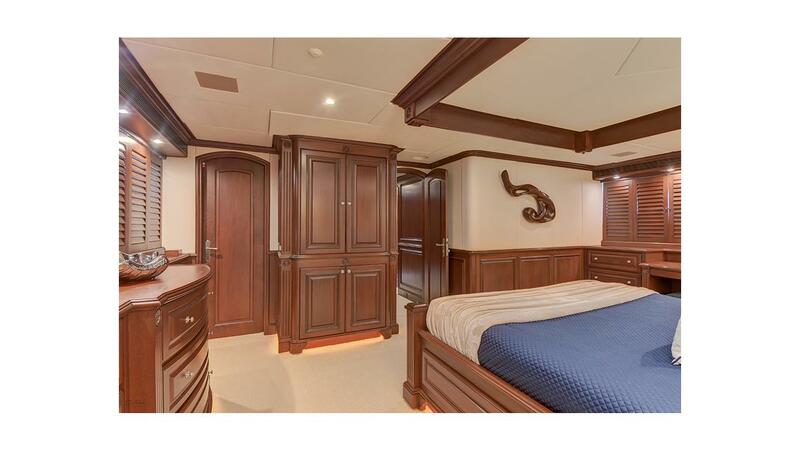 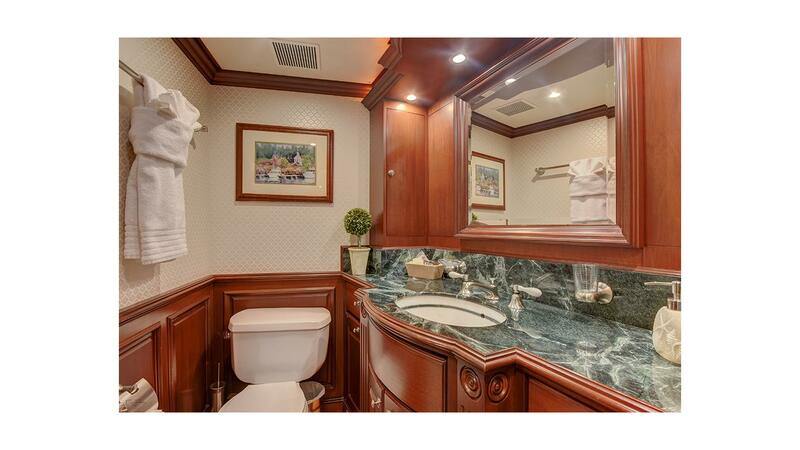 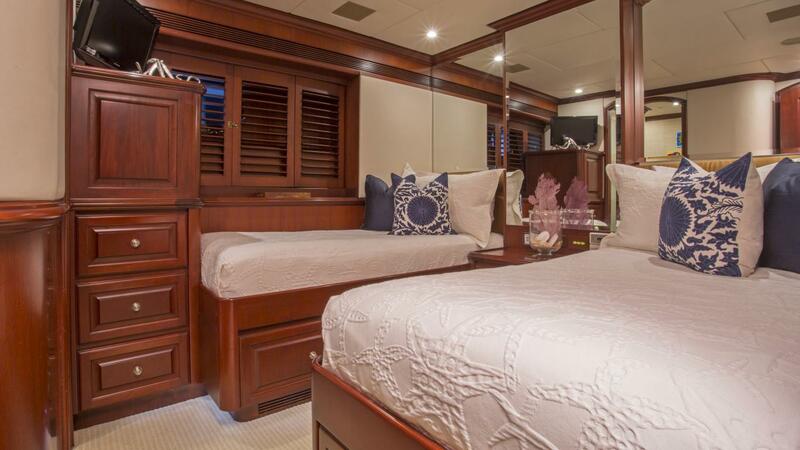 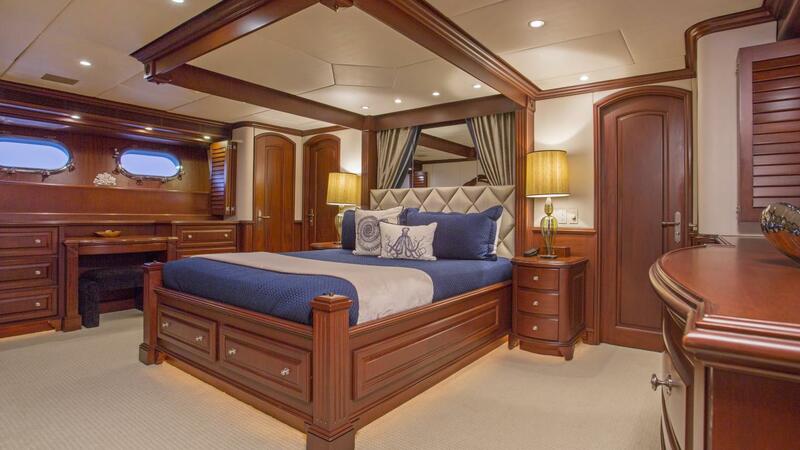 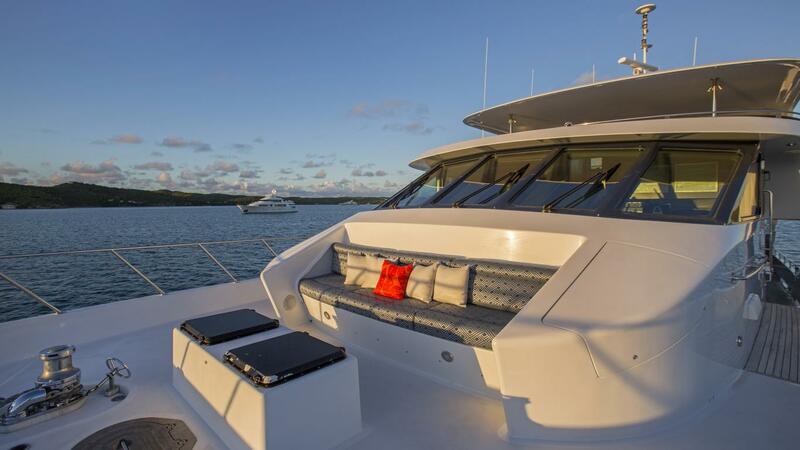 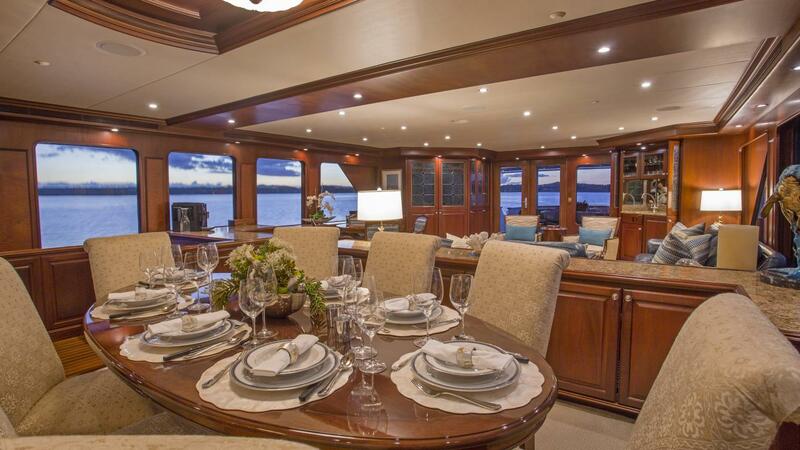 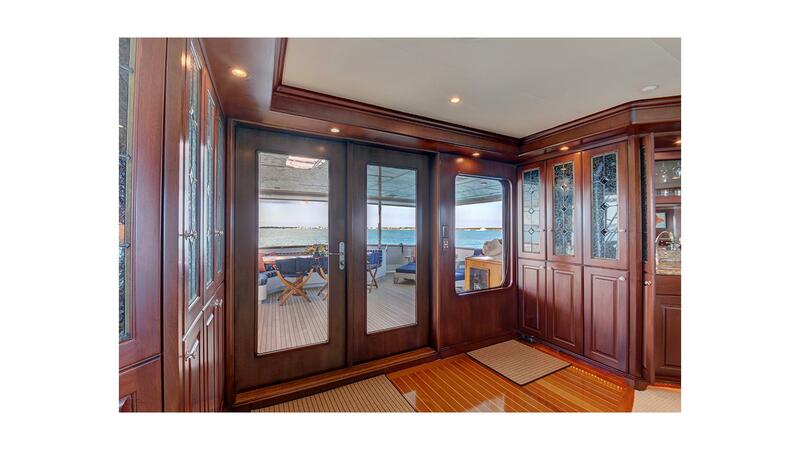 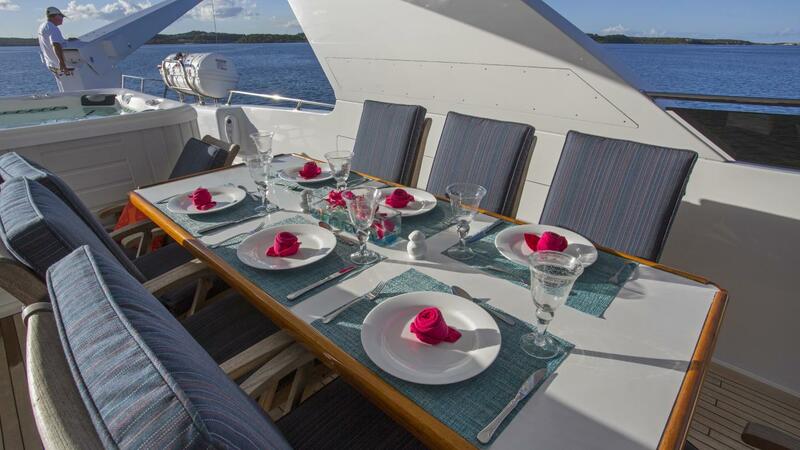 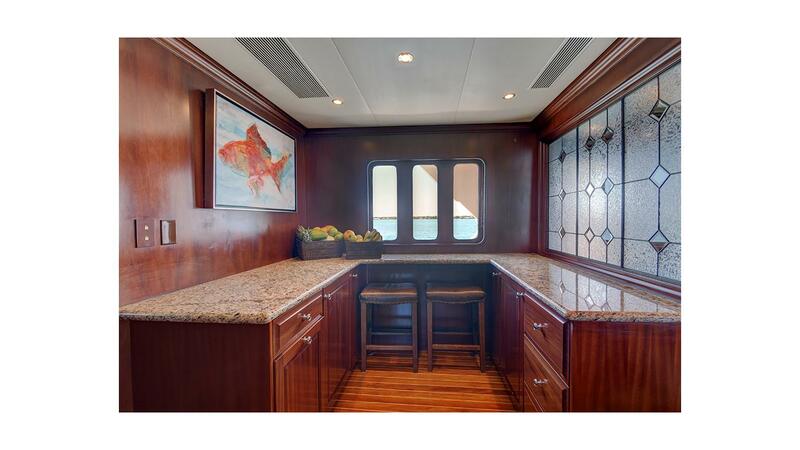 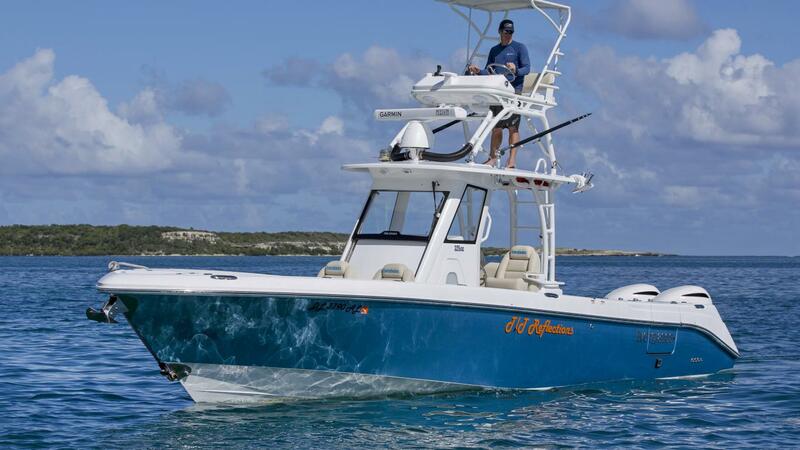 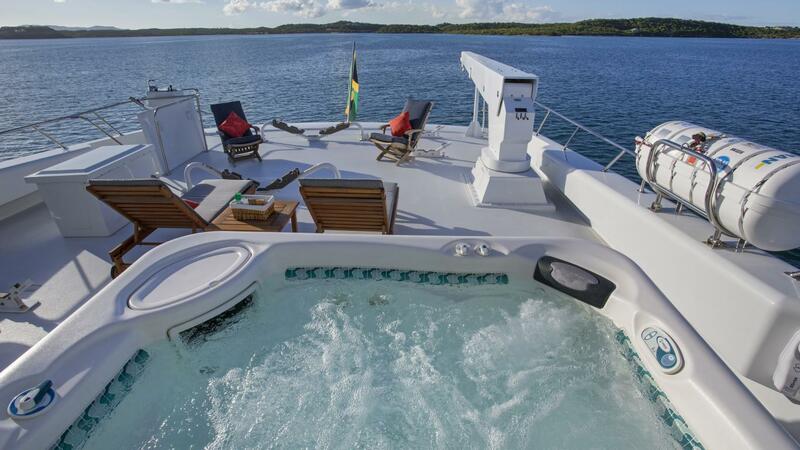 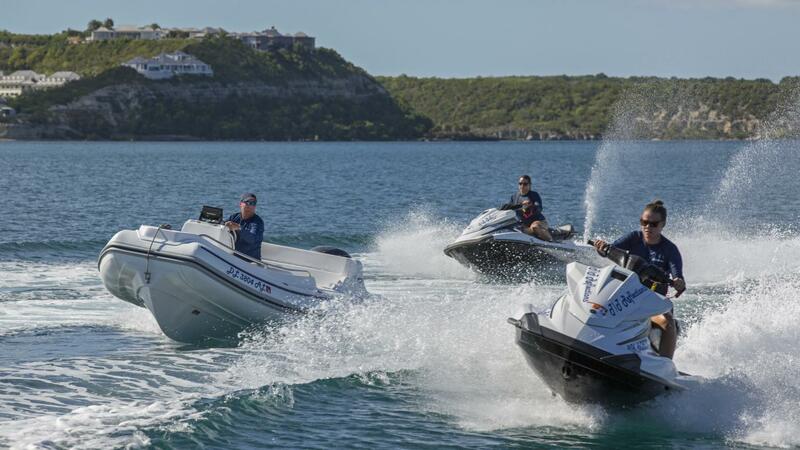 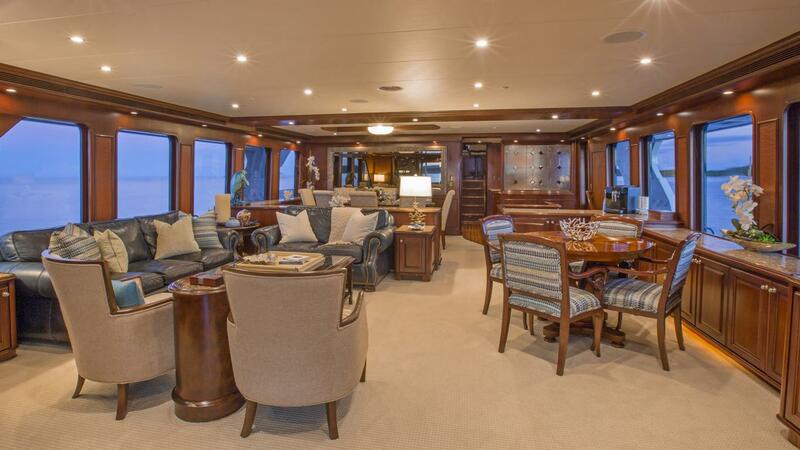 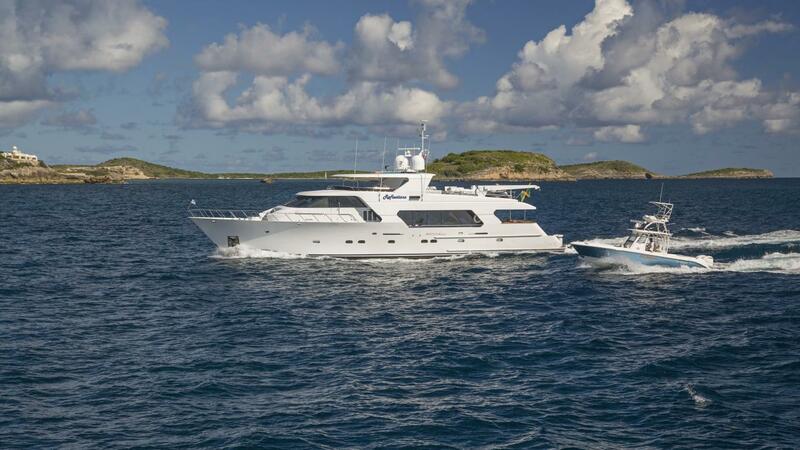 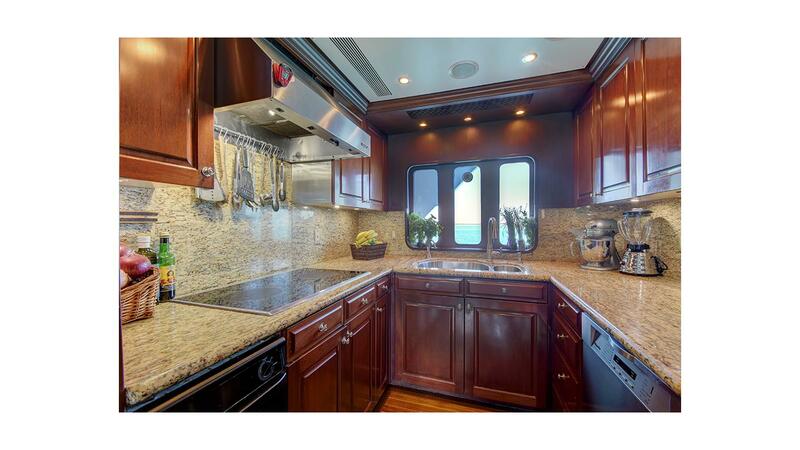 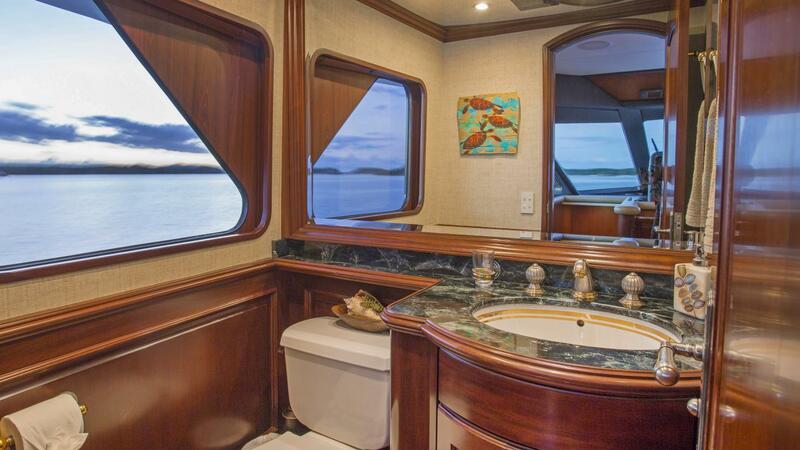 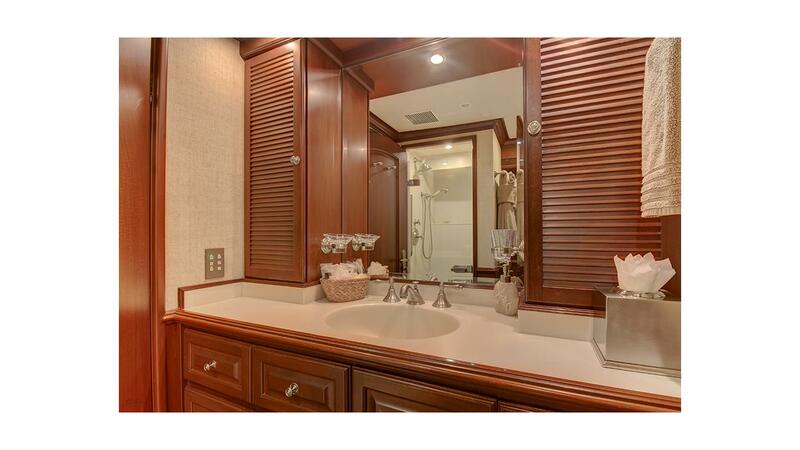 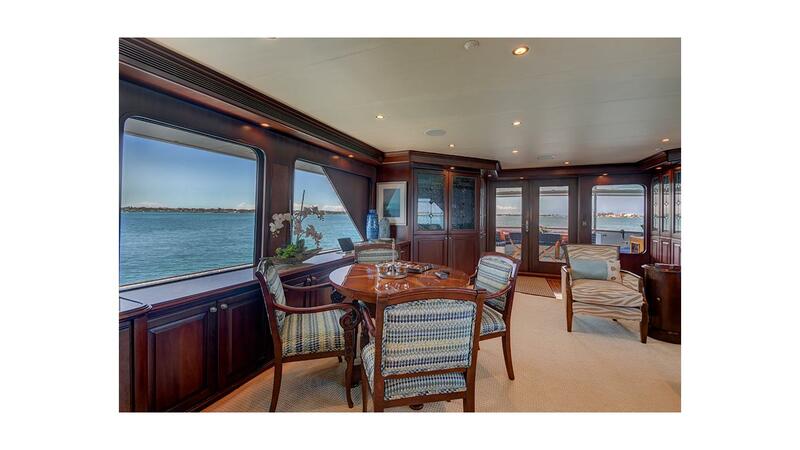 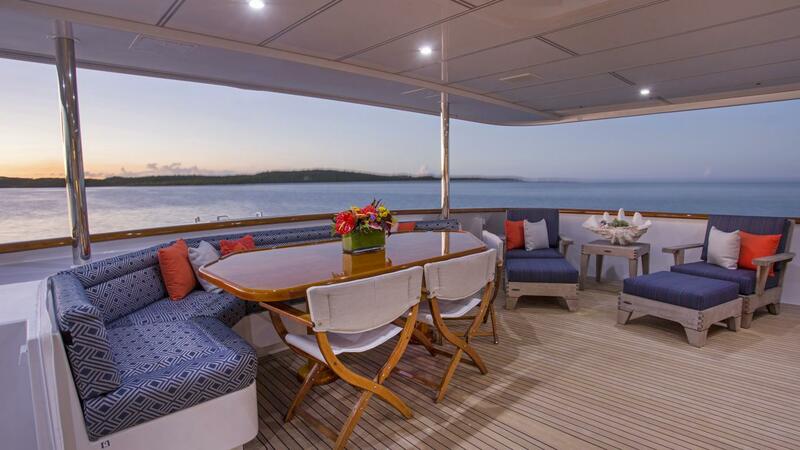 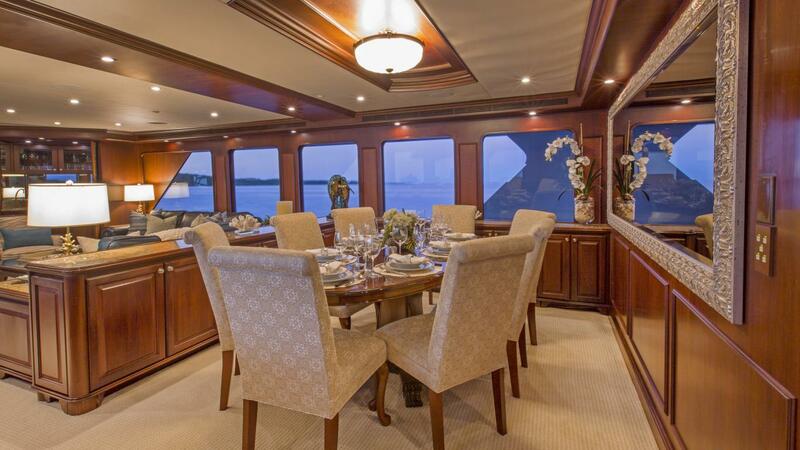 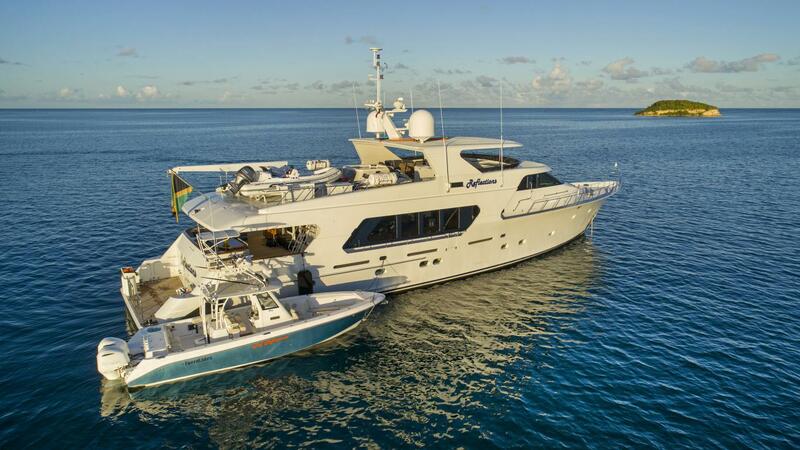 REFLECTIONS accommodates 8 guests in 4 staterooms. 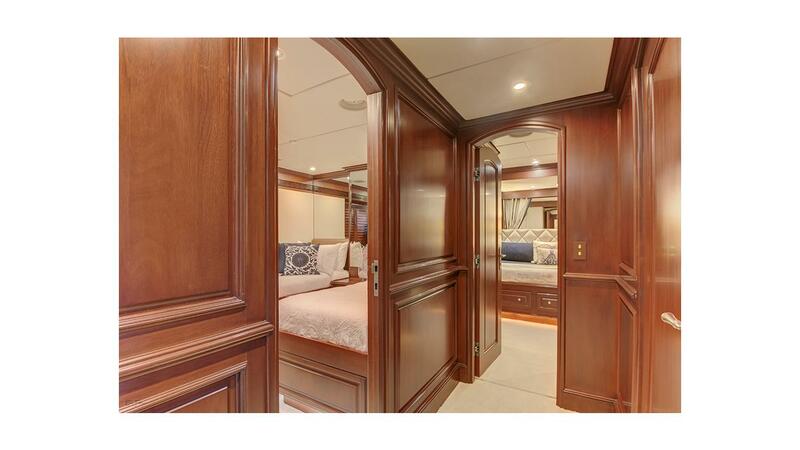 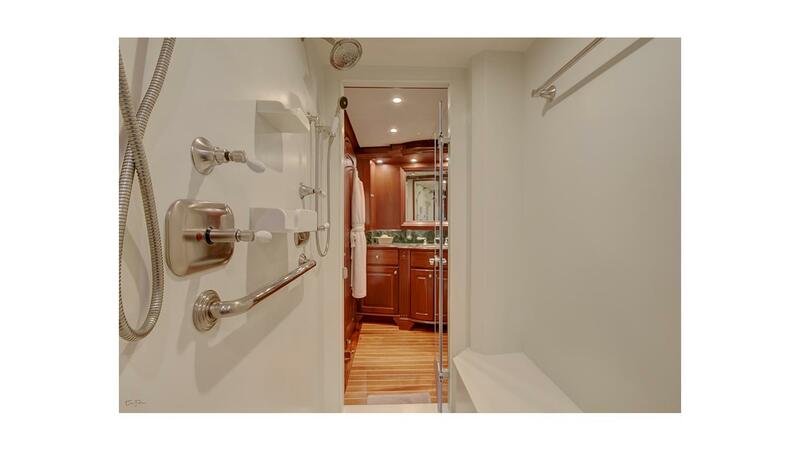 The Master King stateroom is located forward on the lower deck with walk in closets, entertainment center with en suite bathroom with His and Hers baths separated by a walk in shower. 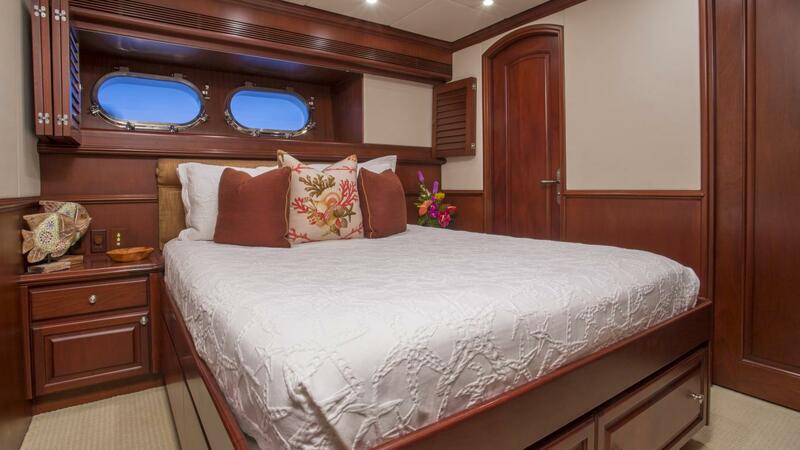 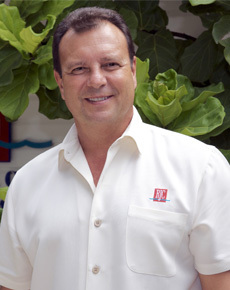 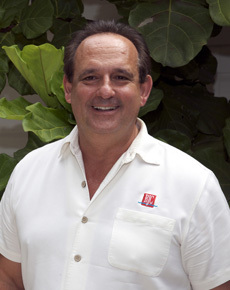 Aft of the master stateroom are three guest cabins. 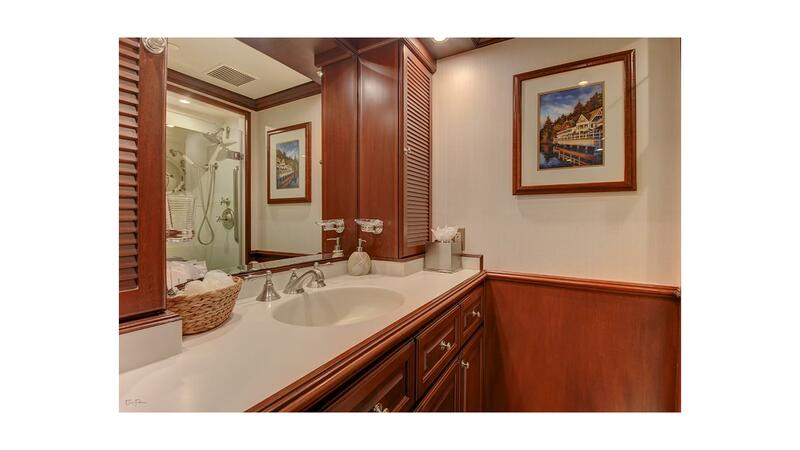 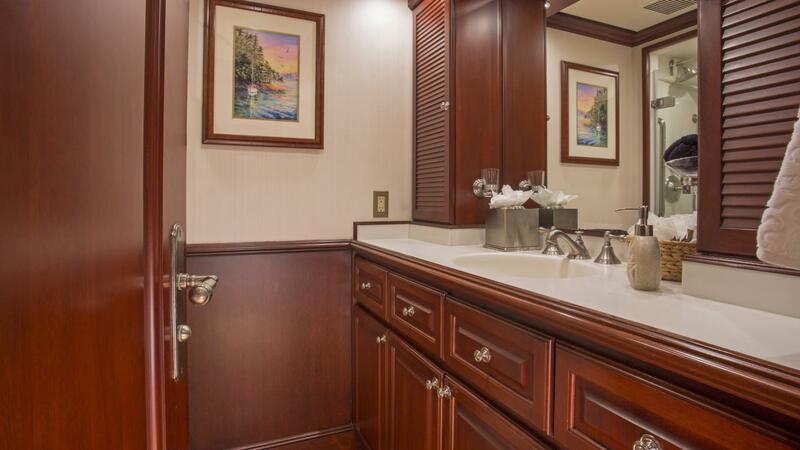 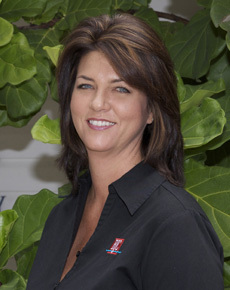 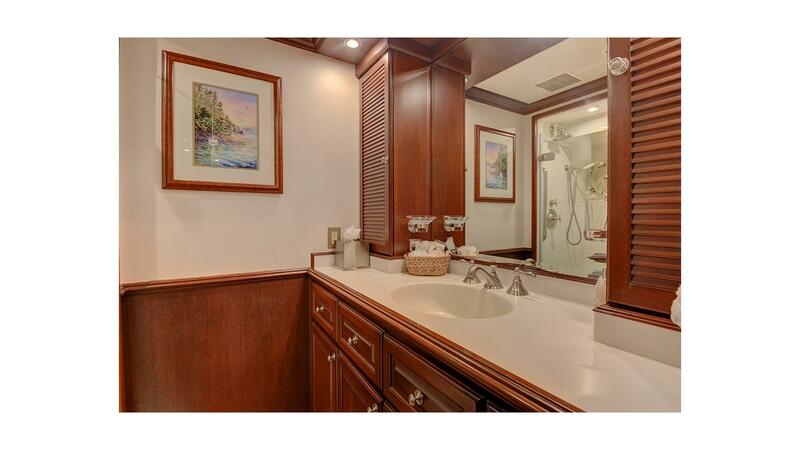 Two Queen guest cabins with entertainment center, walk in closets and en suite bathrooms with showers. 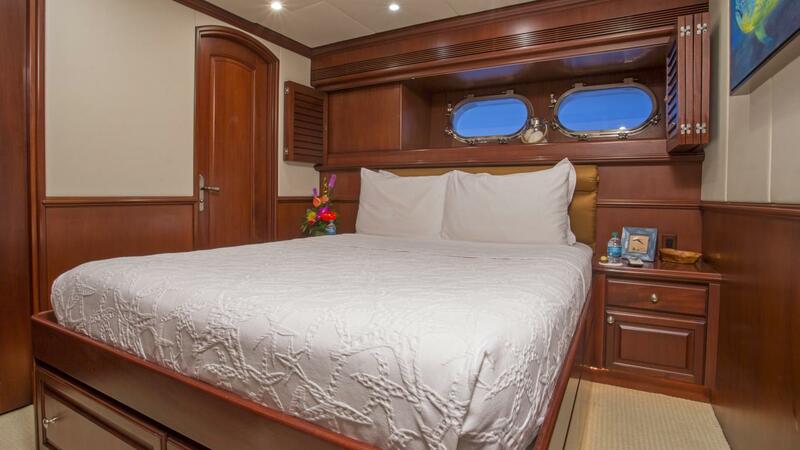 The third guest stateroom features twin beds, hanging locker entertainment center with an en suite bathroom with shower.